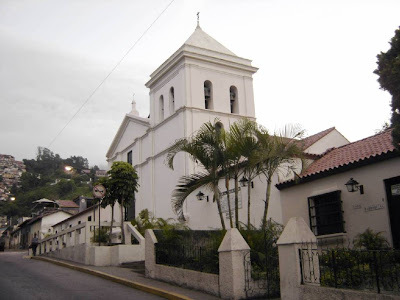 If you’re visiting Caracas you've to pass by El Hatillo, southeast of Caracas this small town with colonial architecture, art galleries, handcraft products such as pottery and other folkloric souvenirs, music festivals including Venezuela most recognised Jazz Festival, and gastronomy are the main attractions. 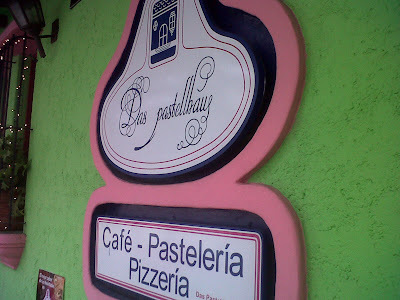 One of the popular places is a pizza joint called Das Pastelhaus. Wood oven, a nice terrace, busy dining, room, and a crunchy pizza it’s what you will find. I went with Mary to try it again as it was at least more than 6 years since I had one. 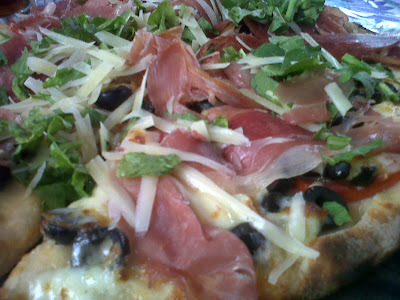 We shared two pizzas, one cream based instead of tomato, with chives and mushrooms, it was great, amazing flavour, the crust is really nice, and the other one a traditional, with black olives, Serrano ham, rocket, and shaved parmesan cheese. 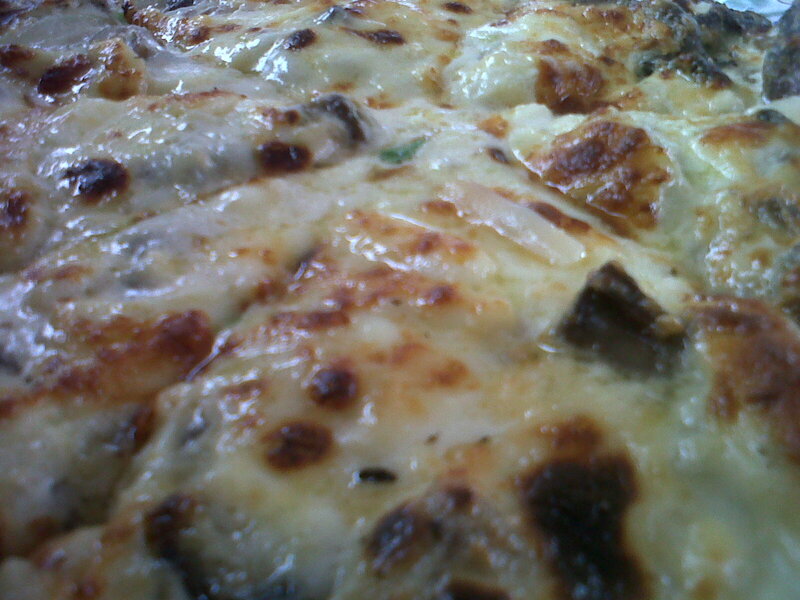 It was perfect, great flavour, and same awesome crust. 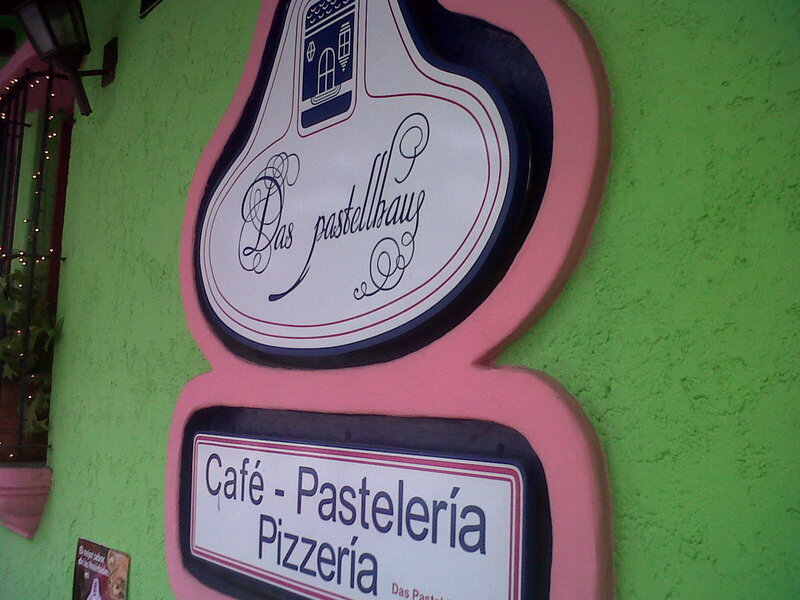 A colourful place with great pizzas, and nice desserts. Jerry: I have to go meet Nina. Want to come up to her lot, check out her paintings?